"The Song of Empedocles" by Matthew Arnold is the Songs of Eretz Poem of the Day for March 12, 2014. A link to the poem may be found here: http://www.famouspoetsandpoems.com/poets/matthew_arnold/poems/194. Matthew Arnold (1822 - 1888) (pictured left) was a British essayist and Professor of Poetry at Oxford. A product of the Victorian Era, Arnold's poetry has been described as meditative and rhetorical, often struggling with problems of psychological isolation. His epic work Empedocles on Etna (1852) impressed the critics of his day and established his reputation as a poet. Additional biographical information may be found here: http://www.famouspoetsandpoems.com/poets/matthew_arnold/biography. Empedocles (c. 490 - 430 BCE) (pictured right) was a pre-Socratic philosopher from Acragas, Sicily. He was also a physician, poet, politician, and rhetorician. His work was cited in the works of Plato and Aristotle. A fierce proponent of democracy, he traveled widely giving speeches, and is credited by Aristotle as being the inventor of rhetoric. He is said to be one of the first to speculate about particle physics and the first to divide matter into the familiar "four elements" (earth, water, air, and fire). A colorful figure known for his outrageous manner of dress, he traveled with a retinue, and was said to be able to end plagues and even to be able to raise the dead. Empedocles saw himself as a sort of god--a fact that, according to legend, he sought to demonstrate to his followers by throwing himself into Mount Etna, an act of hubris which he did not survive. 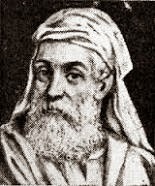 Additional information about Empedocles may be found here: http://www.egs.edu/library/empedocles/biography/. In the lyrical free verse of "The Song of Empedocles" may be found Arnold's preoccupation with isolation and fear that life ultimately has no meaning. 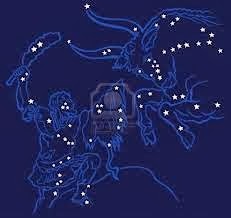 In ancient Greece and Rome, the stars were seen as either gods themselves or as parts of constellations that made up gods and mythical creatures. Arnold points out that, in his day, these myths are all but forgotten, and the stars travel their lonely paths in mere echoes of their former high status. Arnold predicts a similar fate for himself--exactly what he does "fear to become." His description of the stars as "Sons of Heaven" may be a play on words--the "sons," once revered as gods, are now no more than "suns," distant balls of gas.